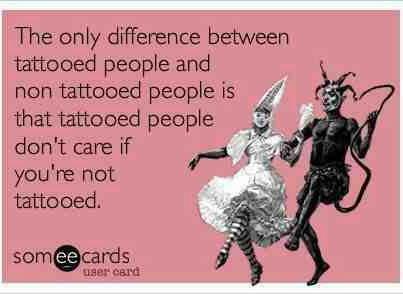 I know that lately I’ve been talking a lot about the issue of employers rejecting potential employees based on tattoos. Yes, it’s something that irks me – to say the least – but I’ve been seeing so much more about it in the news the past few weeks that I’ve had to comment. The last time I wrote about this issue, I thought I was done with it for a while. But I was wrong. (Don’t be shocked, sometimes that happens.) The reason that I am going to bring the issue up one last time (for a while) is that today I came across an op-ed that gave an interesting perspective on the whole issue. 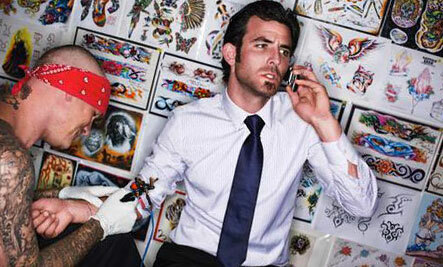 Have you ever considered that it’s the worst employers who don’t allow their employees to be tattooed? I’m not talking about what you or I may think of these employers on a personal level. Of course I don’t like employers who don’t allow tattooed employees, but I’ve never actually considered that working for them in general would be a thankless task as a result of their opinion of tattoos. In this op-ed by journalist Alice Bell, she takes the issue from precisely that angle. Maybe these anti-tattoo employers are just bad overall employers. I’ve worked in different jobs in different industries, and the harder an employer clung to this out-dated anti-tat attitude the worse it was working for them. When I worked for a high street games retailer tattoos were positively encouraged, since a lot of the customers had them, and everyone got on together and we had a great laugh! Hooray! This carried over to working at a games magazine. Journalism isn’t a front facing industry and the company was smart enough to realise that forcing employees to adhere to unnecessary appearance policies would not make said employees more enthused to come to work. By contrast, two other high street retailers had a strict ‘cover up’ policy, and were infuriating to work for. They had non-existent employee benefits or bonuses, and one in particular seemed to approach retail from approximately 1985. When you seriously consider this point of view, it does make sense. Obviously, those employers who don’t have any problems with or who actively encourage tattooed employees are progressive, open-minded employers. Naturally these are the type of people that most of us would want to work for. It stands to reason that if your employer can be good to you when it comes to judging you on your abilities rather than your appearance, then they are the type of people who can use logic in dealing with problems that so often pop up in the work place. I know that lots of people would argue that simply because an employer allows their employees to be tattooed doesn’t mean that they are automatically great to work for, but I really do think it’s a start. Apple is a corporation that tends to treat its employees relatively well (not the ones who work in the manufacturing factories in China – that’s another story altogether) and this I feel, has a lot to do with the fact that Apple understands its employees are young. They are a different generation and many of them have tattoos. The world is changing, the work place is changing. The employers who acknowledge this change and the inherent diversity within it are not only the ones who stand to prosper, but also the ones worth seeking out.